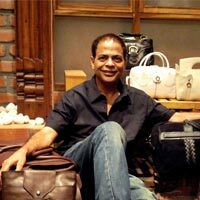 Leather bags and accessories brand Hidesign considers both online and offline business formats very important, and lays equal importance to both of them. In an interview with Franchise India, Dilip Kapur, President, Hidesign, throws more light on this aspect. E-retailing of accessories is witnessing good growth. How are you managing your offline sales? We view e-commerce as one of our channels through which we distribute Hidesign. We expect experience to be similar and nice. We ensure certain amount of parity to protect offline by ensuring our core styles are not discounted at any time of the year. How is your brand’s online presence and what measures do you take to strengthen it? Strength of a brand is to ensure that all major e-commerce players consider Hidesign important for the business. We ensure that they offer us full experience of the brand through shop-in-shop with all the brand values and stories coming through strongly. Finally, our own website ensures that the full story of the brand is represented the way we wanted. Which business model do you follow? We follow similar business model across all our channels. We don’t believe our customer wants different models across different channels with small changes. The essential character of the brand can’t change and shouldn’t. What are the latest trends in bags, watches and eye wear market? Retro shapes like classic round sunglasses are in vogue this season. For bags, work totes in neutral and classic shades are in trend. Hidesign would continue to be the leader in India and will establish itself as credible and distinct brand in the international market. We want to be a leader internationally in the ecologically conscious and sophisticated consumer market that loves a natural look. We are looking at brand extensions such as footwear, pens and stationery those appeal to the same consumer base. We are also looking to expand our airport stores, international expansion- majorly in USA, Gulf and Singapore.